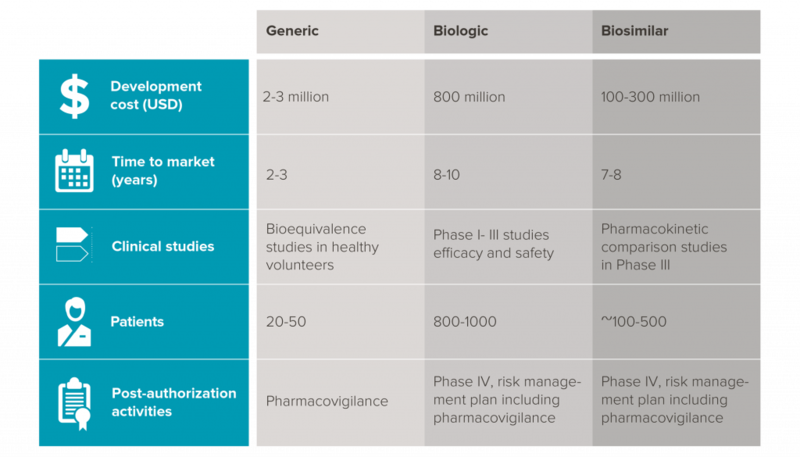 mAbxience | Generics, biologics, biosimilars: who’s who? Most biologics, such as monoclonal antibodies, have a highly complex molecular structure that is difficult to identify or characterize and they are manufactured using the most innovative technologies. 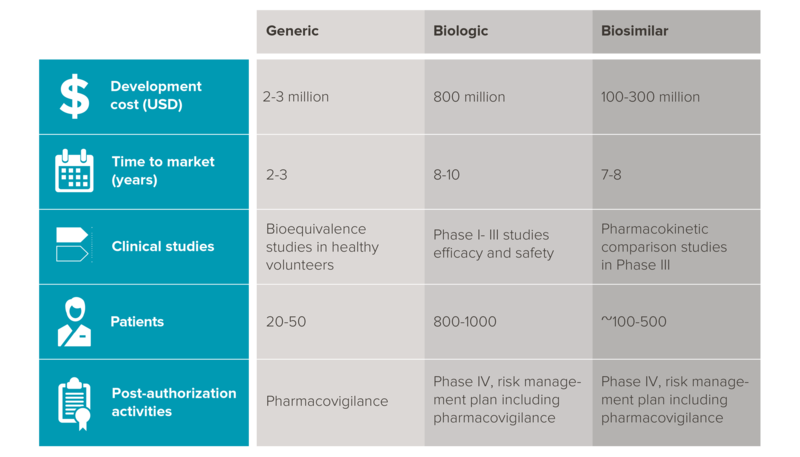 Biosimilars are medicines manufactured through biotechnology and which have demonstrated their equivalence in quality, efficacy and safety to the reference product. BioSim. Guía de medicamentos biosimilares para médicos. 2017. ISBN: 978-84-697-2838-3. Available on: http://www.biosim.es/documentos/Guia-de-Medicamentos-Biosimilares-para-Medicos.pdf. Biosimilars and their role in cancer treatment. Available on: https://www.cancercare.org/publications/353-biosimilars_and_their_role_in_cancer_treatment. Rodríguez de la Cuerda AL. Biosim. Biosimilares en España. Presentación XI Encuentro de Autoridades Competentes en Medicamentos de los Países Iberoamericanos (EAMI) “De la estrategia a la acción en los medicamentos”. 22nd June 2016. Varadero, Cuba. Available on: https://www.redeami.net/docs/docs/encuentros/xi_encuentro/Ponencias/Cuba_Biosimilares_ALRodriguez.pdf.